Discover the unique SPA zone at the Notera Hotel. Find time for yourself, relax, rest. 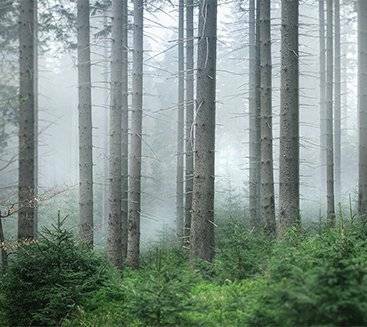 Feel the energy of the surrounding nature. Trust the experience of our therapists, the latest achievements in the field of cosmetology and cosmetics based on the best natural ingredients. You can find balance with us, and thanks to architectural solutions you can enjoy the view of one of the most beautiful lakes in Poland. 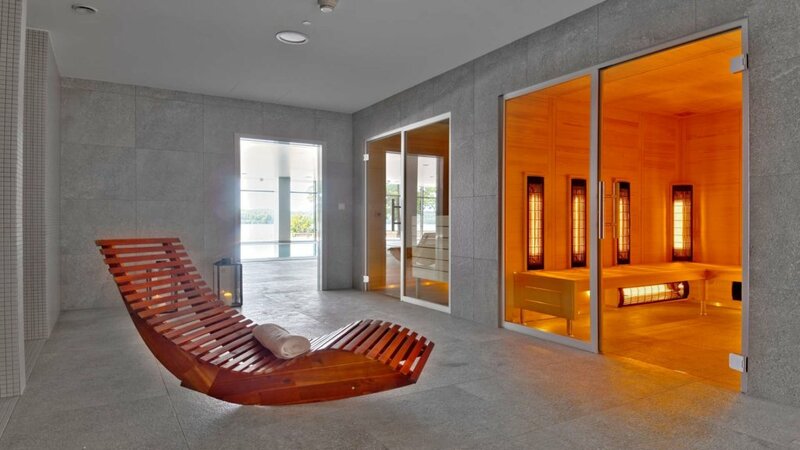 Find your space of relaxation – trust the Notera Hotel SPA. Imagine a space designed to help you achieve total relaxation. Stress-free zone is a harmonious combination of design and innovative technological achievements. This is a place that will separate you from any external stimuli. Stay in the stress-free zone is a guarantee of calmness and the highest quality of rest. We will take care of your health and positive well-being. 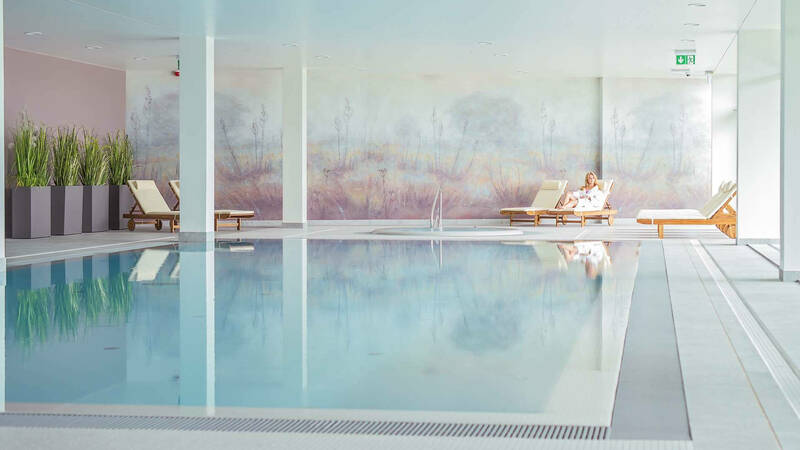 Discover the only stress-free zone in Poland. Reach the state of the deepest relaxation. Regain your balance. Find your space of relaxation. The stress-free zone is available for people over 18 years of age. Anti-stress programmes at Notera Spa! Floating is a therapy based on floating on the surface of water saturated with Epsom salt. 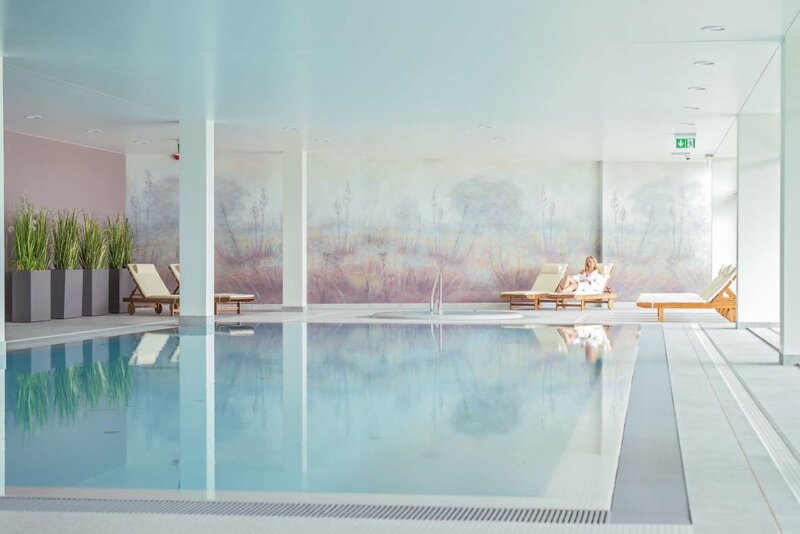 During a floating session, external stimuli are kept to a minimum, the water temperature is around 35 ° C, and in the background you can hear music that helps you achieve a state of relaxation. All you need to do is enter the pool, float on the water, forget about gravity, the fast pace of life, the noise and temperature fluctuations around you. Floating not only makes it easier to achieve a state of complete relaxation, but also helps eliminate stress and tension, promotes creative thinking, has a positive effect on concentration and memory. Floating accelerates the rehabilitation process, relieves inflammation and back pain, muscles, joints, strengthens the immune system. One session will allow you to achieve a state of deep relaxation. Immerse in these soothing sounds of the Tibetan singing bowls, give in to the majestic power of gongs and these soft, subtle sounds of bells which make your body calm and your heart happy up to its very core. 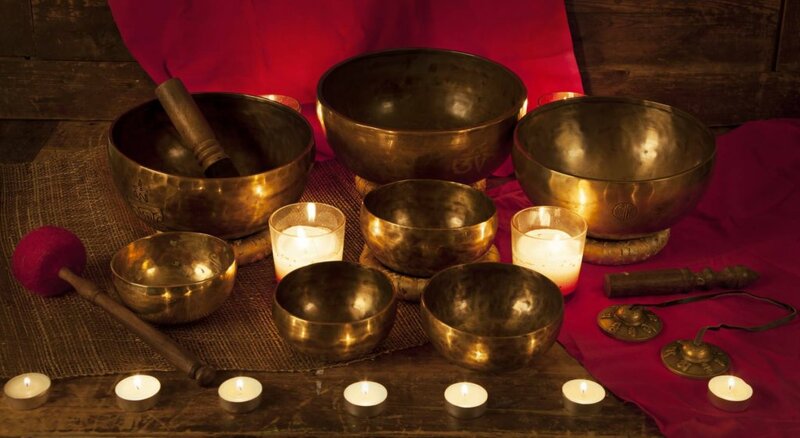 The bowls and gongs emit vibrations of varied frequency, and thereby, penetrate the deepest tissues of your body with relaxation beyond measure. Since they arrive at nearly every single cell, their healing power chases all the nasty thoughts away. The Tibetan gongs and bowls are your most perfect remedy for stress, anxiety, fear and internal imbalance. 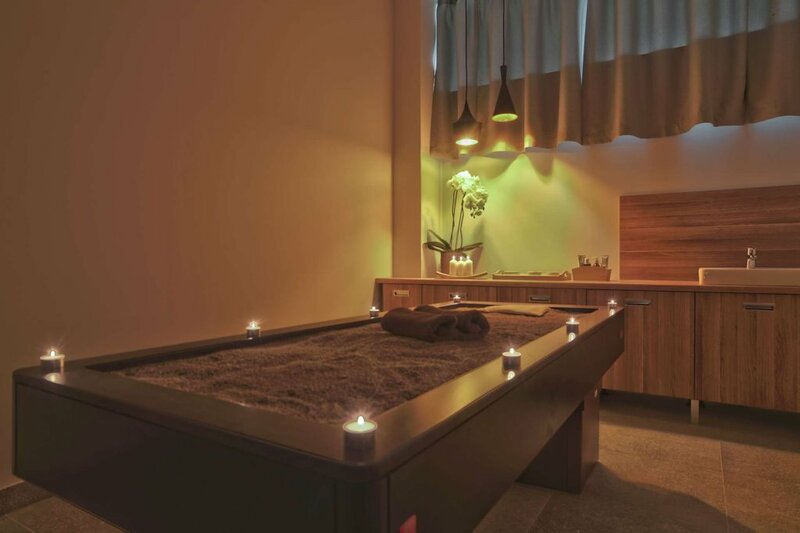 At the Notera Hotel SPA, you can also try our sound massage, based on the manual therapy and Tibetan bowl therapy. There’s no other place in the world which suits the sauna rituals better than the Tuchola Banya. A true sauna master conducts a ceremony here – mystical powers made flesh – which consists in dousing heated stones in water mixed with natural essential oils in order to create steam. Then, the master of ceremony starts to fan the participants with a towel so that the steam is distributed all throughout the sauna. Apart from the sauning itself, various cosmetics can be applied in the sauna cabin, too – scrubs, oils or body masks. And properly chosen music is played. Sky is the limit here and it’s for the sauna master to decide what your sauna session will be like. Every weekend, at the Notera Hotel SPA, we also organise fabulous sauna evenings in the Tuchola Banya with real sauna masters. Choose one of our Day SPA packages and relax at Notera Hotel SPA! (the offer is available from Sundey until Thursday). A pass for the pool and sauna zone with 10 entries – 390 PLN per person. 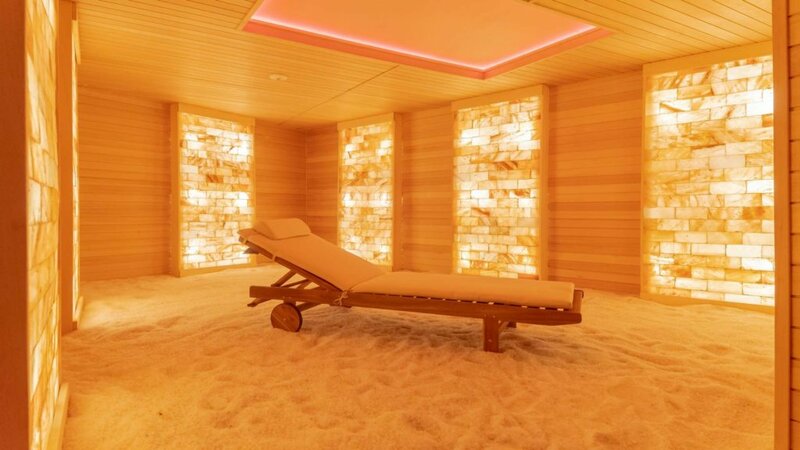 (salt grotto, bio sauna, multi-therapeutic parlour, relaxation room). Floating – 55 – minutes of deep relaxation – 145PLN per person. Whole day stay in the wellness zone, including a pool and sauna zone. Whole day in the wellness zone, including a pool and sauna zone. A glass of sparkling wine served with strawberries in white chocolate. 2 hour use of SPA – swimming pool and sauna area. A glass of sparkling wine served with fruits. Voucher to Noter Hotel SPA is a perfect gift idea! Anniversary of the wedding, birthday or surprise for a loved one? Every opportunity is good to give a stay to Notera Hotel SPA to a person close to you. The voucher can be for a specific treatment or amount to be used in the hotel by the recipient. You decide on what amount the voucher should be prepared (the minimum value is PLN 100). 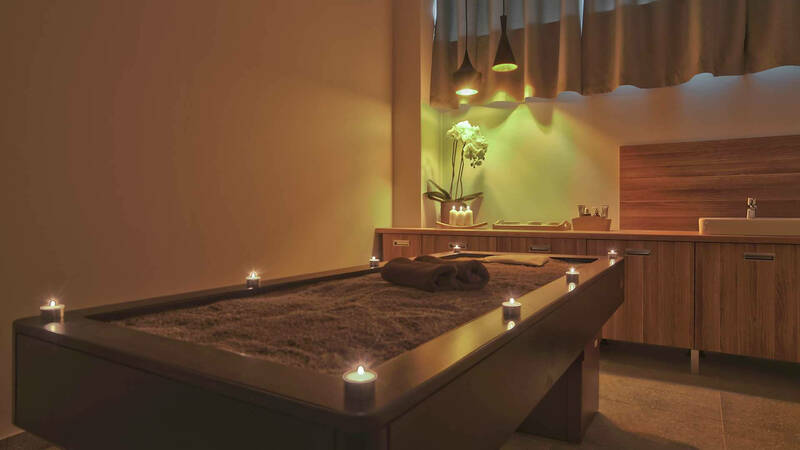 During your stay at Notera Hotel SPA it is worth taking care of your condition. 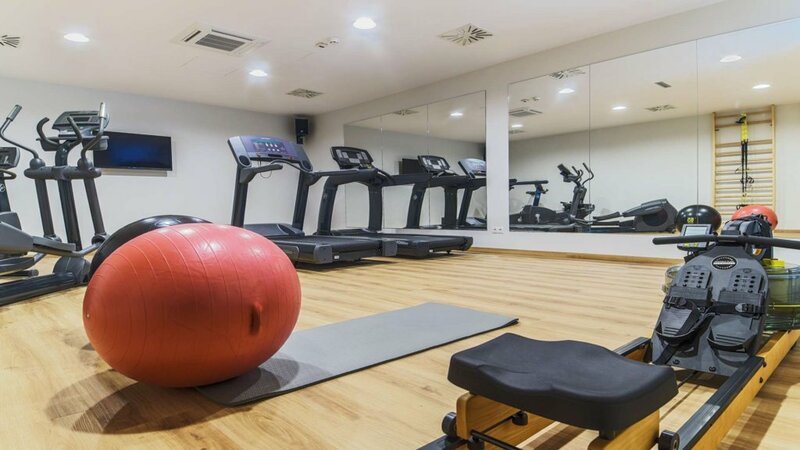 We invite you to take advantage of the modern Fitness Room, which is open 24 hours a day. We also recommend training with a personal trainer. Please arrive to the SPA for 10 minutes before the start. This will allow you to prepare for the procedure and fill in the consultation card. For guests from outside the hotel, we have prepared a Notera SPA Bag, which includes slippers, a bathrobe and a towel. After picking up the Notera SPA Bag, we invite you to the SPA Reception. However, hotel guests are requested to come to the SPA in bathrobes and slippers. We care about the comfort of our guests – SPA is a space of silence and relaxation, therefore we ask you to turn off or mute mobile phones and not consume alcoholic beverages or other intoxicants while staying in the SPA. informing before the procedure about taken medicines, diseases and possible contraindications. If you do not attend the booked treatments (without a minimum 6 hours’ notice), you will be charged 50% of the value of the procedure you ordered. In case of being late for the procedure due to the fault of the Guest, the delay time will be deducted from the total time of the treatment. The SPA reserves the right to terminate the procedure by an employee if he / she encounters an inappropriate behavior of the Guest (aggression, sexual propositions, etc. ).